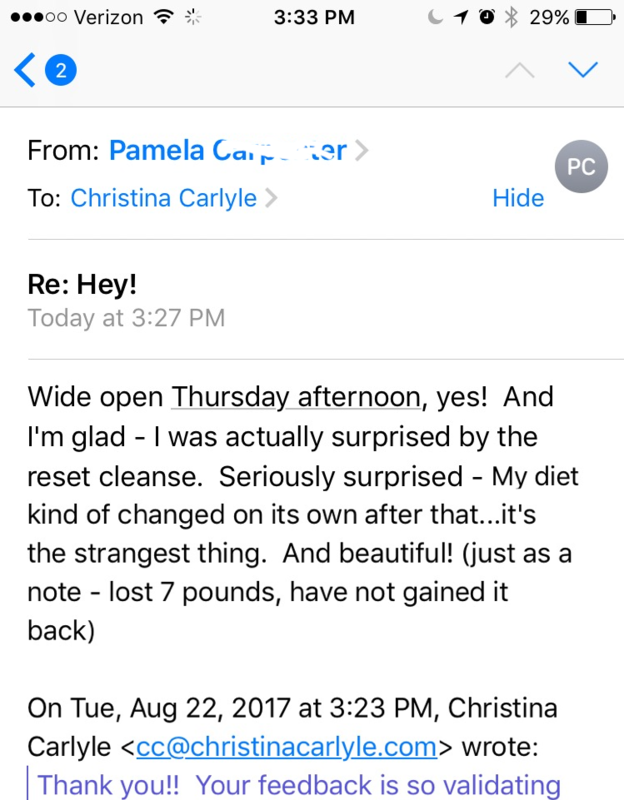 If you want to lose weight, boost your energy, metabolism, and confidence quickly you’re going to love the Reset Cleanse! Stop food and sugar cravings? 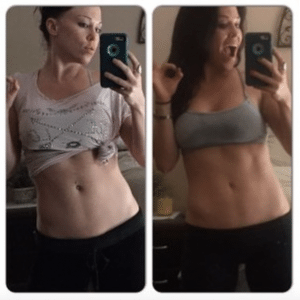 Reduce bloat and get a flat stomach? Stop feeling hungry all the time? Feel more energized, confident, and motivated? See acne, aches, and pains fade away? Supercharge your metabolism and burn fat faster? There are detoxes for the digestive system, the liver, cells, and lymph. You can do a cleanse to calm inflammation, get off sugar, and balance hormones. When you detox everything way you can feel more positive, energized, motivated, healthy, and burn fat. HINT: That’s what the Reset Cleanse does and why it gets rapid results. 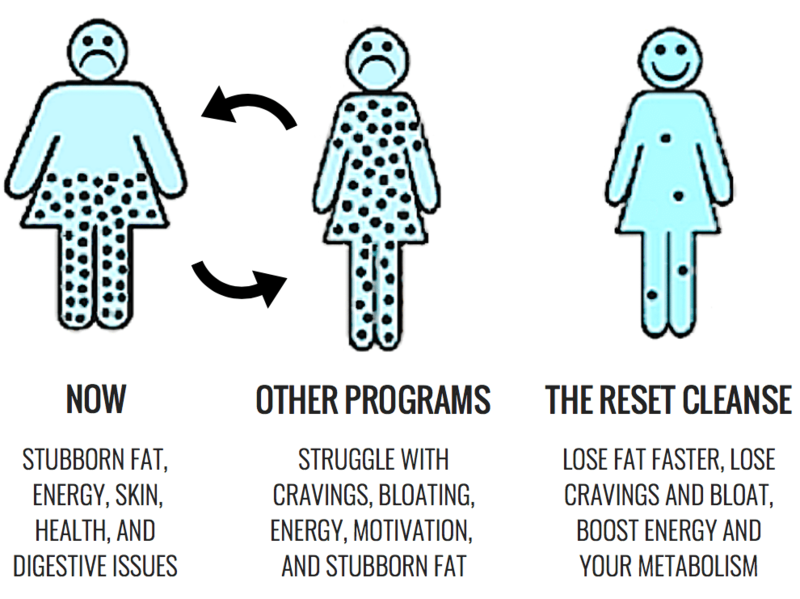 The Reset Cleanse is a 7-day full body detox that also boosts metabolism so you can lose weight & feel great quickly. It balances hormones, detoxes, and optimizes fat burning organs so you can get noticeable results ASAP. All it takes is a week to feel lighter, energized, confident, and motivated. The best part? 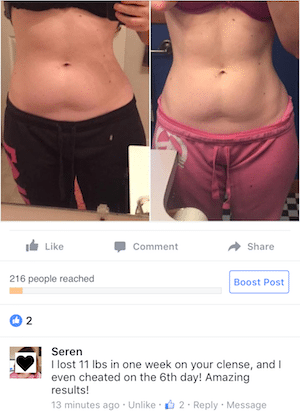 You get incredible results eating unlimited servings of delicious Reset-friendly food. Simply eat Reset-friendly foods for 7 straight days. No additional products are required. You’re encouraged to eat when you’re hungry. No calorie or macro counting needed. The food is delicious, affordable, and easy-to-find around the world. There are 4 optional exercise sessions you can do to enhance the detox and boost results. Do you have food allergies? Gluten-free? Picky eater? Vegan or vegetarian? 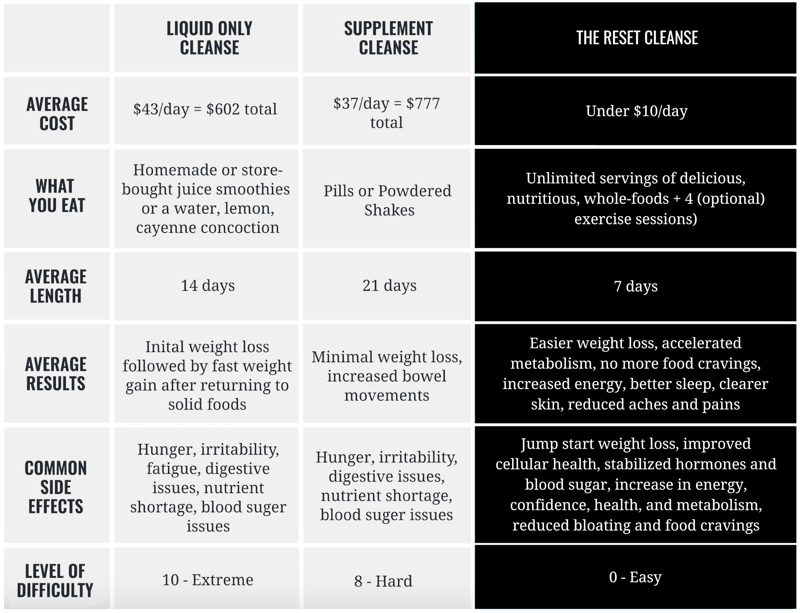 There are dozens of options, recipes, and videos tutorials that explain how to customize the cleanse to suit you and still get the same incredible results. Most pill, tea, and juice cleanses often do more harm than good. They throw hormones out of whack, slow down the metabolism, and set you up for rapid regain. Some contain harsh stimulants make you use the bathroom and feel less hunger… These types of cleanses have you losing waste weight (poo! )… NOT fat. Juice cleanses have tons of sugar that overloads the liver… and actually makes it harder to detox, burn fat, and stop cravings. OTHER DETOXES DON’T DO ALL THE ABOVE. The Reset Shopping List – My list of Reset-friendly foods. The food is easy to find, affordable, and delicious! My Reset Cleanse Meal Plan – See what I eat and the meals I make when I reset myself. Reset Meal Planner – Make your own Reset-friendly meal plan with this blank template. 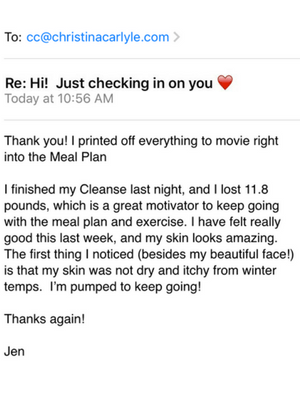 Access to a Database of FAQs – See answers to common questions about the Cleanse. 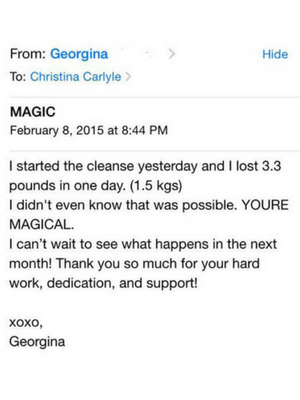 Forever Access – You’ll have 24/7 access to the cleanse so you can Reset yourself whenever you want. To start losing weight now, break through plateaus later, detox after holidays, or vacations, etc. Get tutorial videos are motivating and explain what to do, how to customize it, and make Reset friendly meals you’ll love! 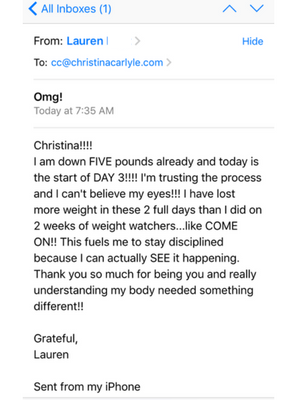 NOTE: ALL IMAGES AND EMAILS ARE FROM PEOPLE (JUST LIKE YOU) THAT FOUND ME ONLINE AND TRIED MY RESET CLEANSE – THIS IS THE TYPE OF SUPPORT YOU’LL GET TOO! DO I HAVE TO BUY ANYTHING ELSE? Nope. You’ll simply have to eat Reset-approved foods from the Shopping List. No other pills, ‘detox’ teas, or products are required. 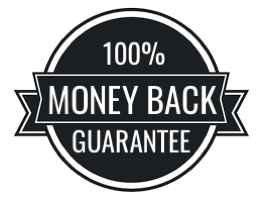 Note: This is a digital program delivered via email, nothing will be mailed to you… This way you can get started right away and don’t have to pay for shipping. IS THE FOOD FANCY OR EXPENSIVE? Nope! All of the foods can be found easily, everywhere around the world. No exotic foods or ingredients are required. Most people save money on food while on the Cleanse. There are dozens of food options on the shopping list, recipes, recommendations, and modifications included so you can customize the cleanse to make it perfect for you and get the same amazing results. You can do the Reset Cleanse if you’re vegan, vegetarian, gluten-free, dairy-free, have food allergies/intolerances, or are a picky eater, too. WHAT HAPPENS AFTER I GET THE CLEANSE? You’ll get instant access so you can get started right away. Login credentials will be sent to you immediately via email. Simply login to access the program whenever you want. Note: This is a digital program, nothing will be mailed to you, so you don’t have to wait to get started or pay for shipping. IT'S ONLY $27, THAT'S IT? Yep! 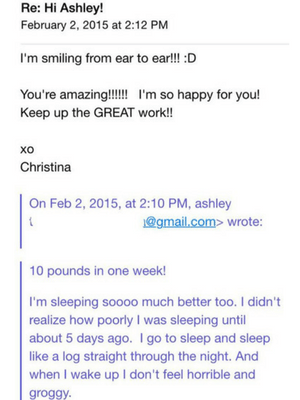 The Reset Cleanse is a one-time payment for lifetime access. 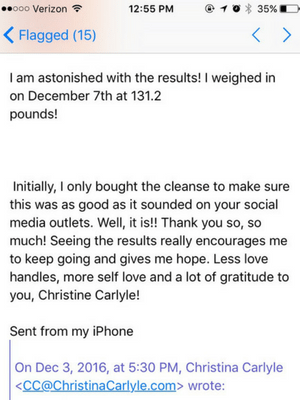 BUT if you follow the cleanse as directed and don’t experience any results, you’ll get your money back. WHAT WIZARD CREATED THIS MAGICAL CLEANSE? Certified: Holistic Nutritionist, Sports Nutrition Specialist, Personal Trainer, Health Coach, & Behavior Modification Specialist. Think of me as your Coach and Biggest Cheerleader. As your Coach I’m here to help you to win! 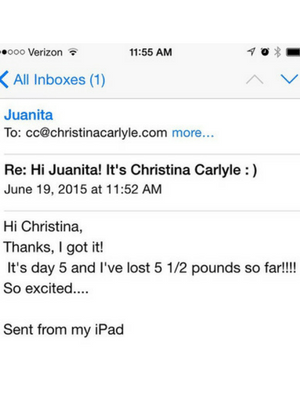 I developed the Reset Cleanse back in 2009 to help my clients lose weight & feel great ASAP. 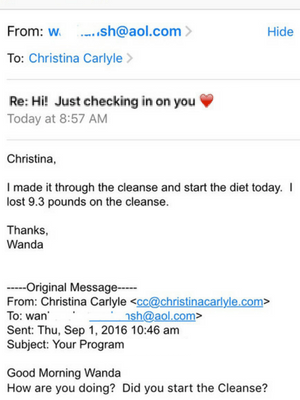 I combined the best, most effective strategies into one powerful protocol and the Reset Cleanse was born. 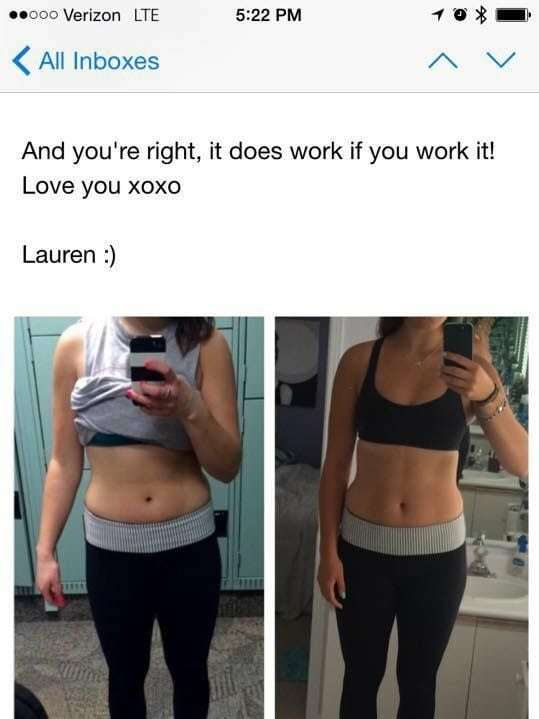 I designed it specifically to help you lose weight and feel great ASAP! 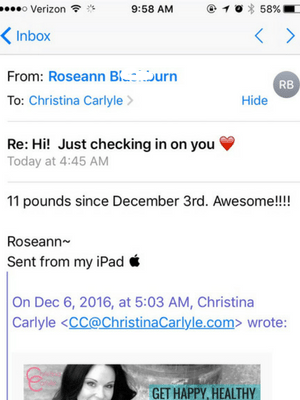 The first time I reset myself I thought my scale was lying, but it wasn’t… I lost 8 pounds in 7 days! My clients started Resetting themselves. After perfecting it, I made it available online. 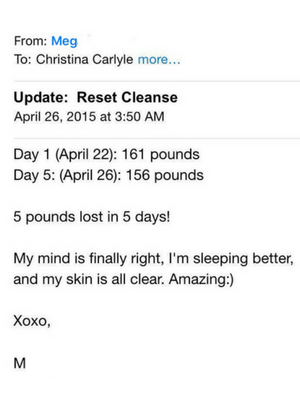 To date more than 4,000+ people have gotten rapid results with the Reset Cleanse.